How to draw Anime Saifon Bleach. 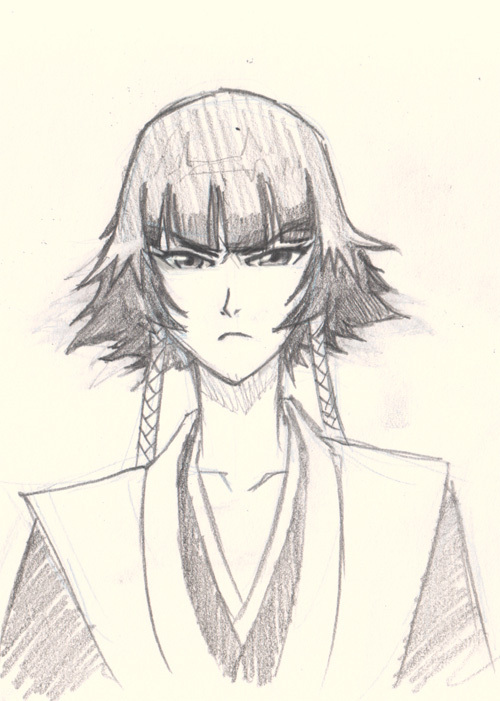 In this video tutorial, you will learn how to draw an Anime girl character from Bleach, Saifon. This should be easy for every artist to follow. If it is a bit too fast for you, press pause. Then you can keep drawing along. You will find video tutorial on the top. This is Anime drawing video and step by step tutorial. Soifon is one of the my favorite characters from Anime series Bleach. Suì-Fēng is a relatively short and petite woman with gray eyes and black hair. Her hair is worn short with two long braids bound in white cloth each ending in a large golden ring. 110 years ago, Suì-Fēng’s hair was shoulder-length and had a softer look to it. She wears a traditional Shinigami captain’s uniform with a sleeveless haori and a yellow obi tied around her waist. Suì-Fēng is staunchly loyal, firm, and unbending in her beliefs. She is a hard worker and takes a strong moral stance — she particularly believes in following orders. Your analytical mind can be very useful when you can look at object then break it down into simple geometry shapes. That is the easier way to start drawing, to some people it is very natural. To me, it comes with a lot of drawing, especially gesture drawing from life drawing session. I have to be as quick and precise as I can be. Because I have only one to three minutes to draw a human figure. In my opinion, it is a lot easier to draw once you observe the over all shape of the object or person you are trying to draw. I usually start of using sphere or circle or any geometry shape I found fit the major shape of the subject I draw, then next step would be figuring out the secondary geometry form to fit into the image. 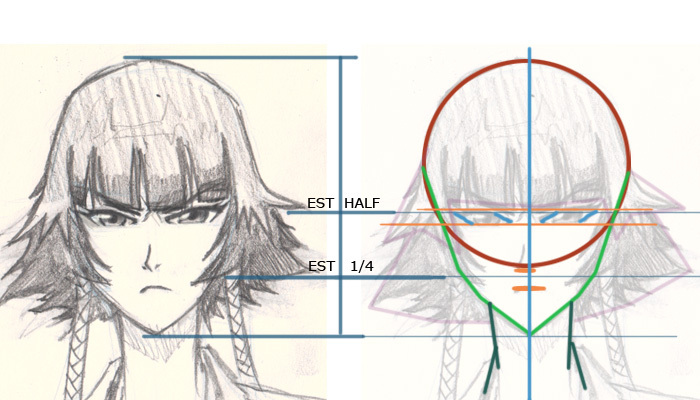 Below is a Manga character’s face easy to follow break down sheet, Saifon from Bleach. The tutorial sheer will help beginner artists to understand how to construct and draw a character’s face. Below are step by step images, how to draw Manga, Soifon from Bleach. 6-7) If you follow the instruction correctly, now you can just go ahead and draw the final darker lines over the sketch. You still can make correction along the way to make your drawing looks even better. If you did not get the result. Watch the video lesson and read the additional information here again. Here is a final sketch of Soifon.